The always anticlimactic September international break is finally over, so it’s time for the first gauntlet of matches of the 2018/2019 season, whose results will shape up the rest of the year. 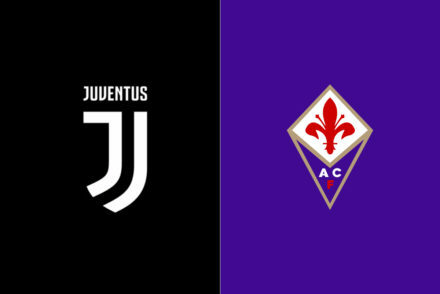 A string of games that will certainly not be definitive, but could indicate whether Juventus will be able to sail smoothly in Serie A and in the Champions League and if some serious foes will emerge in the domestic league. Certainly, the squad is expected to up its level of performances, which, for different reasons, has been pretty pedestrian, even if successful in the first three fixtures. The attack was sizzling against Chievo, but we were way too lax in the back which must have spooked Massimiliano Allegri since he immediately went with a more perhaps exceedingly robust line-up against Lazio and Parma. 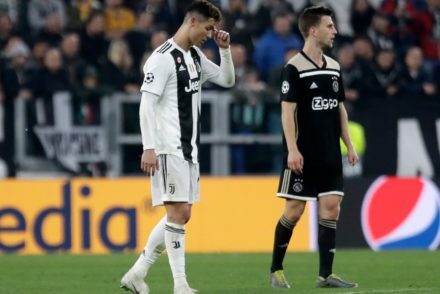 It paid off, especially versus the Biancocelesti who were contained very well, but we are still waiting for Cristiano Ronaldo’s first goal and for the offensive explosion this team is capable of. Massimiliano Allegri made it abundantly clear in the pre-game presser before visiting the Ducali that he does not care about playing well, but is solely focused on winning. I would say that those two things often go hand-in-hand, but it is fair to be a little more careful with your tactics at the beginning of the season, where you have not completely figured out what the newcomers can and can not do and how they fit in the overall plan. We will see if and when the change of pace will come. Also, the more methodical and pragmatical approach has not been as productive in Europe against better offences. It looks like it has been a pretty clean break injury-wise: Miralem Pjanic had a little scare with Bosnia, but the worries have quickly been squashed. Andrea Barzagli hurt his calf in practice and will miss some time. He is still expected to be rested though. We got a little assist from Roberto Mancini as well, since the Italians did not play the full 180 minutes. We know that in these situations the coach likes to send out those who stayed in Turin, but there are not many of them, and he prefers to bench the South Americans who returned late. 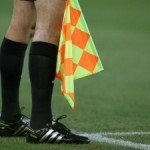 The upcoming Champions League bout will also play a part as well, so the rotation will be heavy. Allegri announced Wojciech Szczesny, Blaise Matuidi, Mario Mandzukic and Cristiano Ronaldo as starters, indicated that Emre Can is likely to join them, while he basically ruled out Pjanic and Giorgio Chiellini. Taking that into consideration, the formation is likely to be a 4-3-3. Barring surprises, the battle in the midfield will be between Sami Khedira and Rodrigo Bentancur and the ex-Liverpool mans position will hinge on the outcome. Medhi Benatia makes more sense than Daniele Rugani as Leonardo Bonucci’s partner, but you never know. Mattia De Sciglio could be selected over Alex Sandro in this case. Federico Bernardeschi is the frontrunner to play on the right wing. 4-3-3: Szczesny; Cancelo, Benatia, Bonucci, De Sciglio; Khedira, Can, Matuidi; Bernardeschi, Mandzukic, Ronaldo. 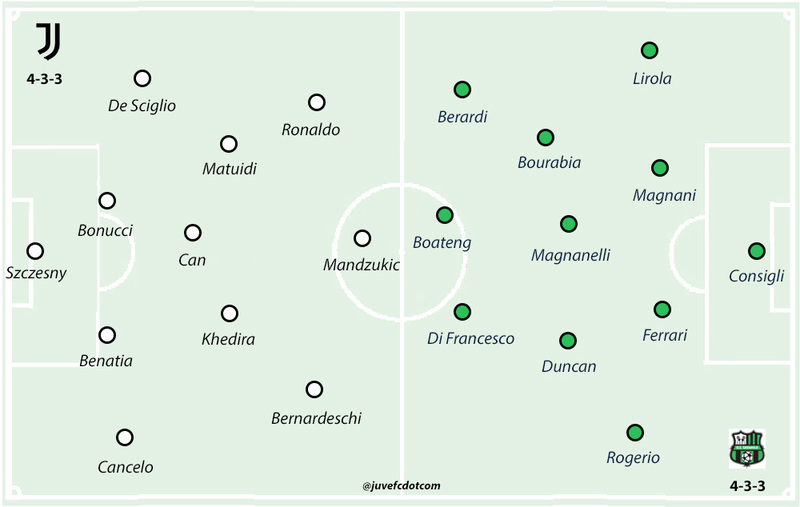 Sassuolo are probably the team that has changed the most in the summer, not necessarily in terms of roster turnover, even though it has been conspicuous, but mainly in their philosophy. 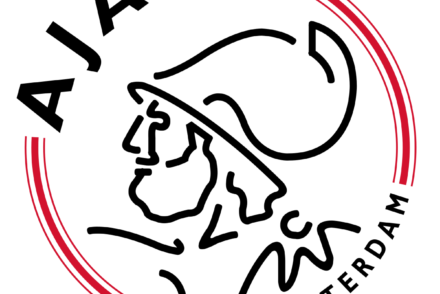 Last season, after a slow start and with several key players under performing, they were forced to play an uninspiring brand of football, focused on defending. The complete opposite of what Eusebio Di Francesco preached in Emilia. Even though Giuseppe Iachini helped them stay in Serie A, they sacked him and did a 180 by hiring Roberto De Zerbi, who has not gotten great results in the top league so far, but has always displayed a very exciting style. They hope that a club with a solid infrastructure and a better roster can sustain it and the early results have been satisfying since, thanks to a late goal in Cagliari, they are one of the few teams that are still undefeated. 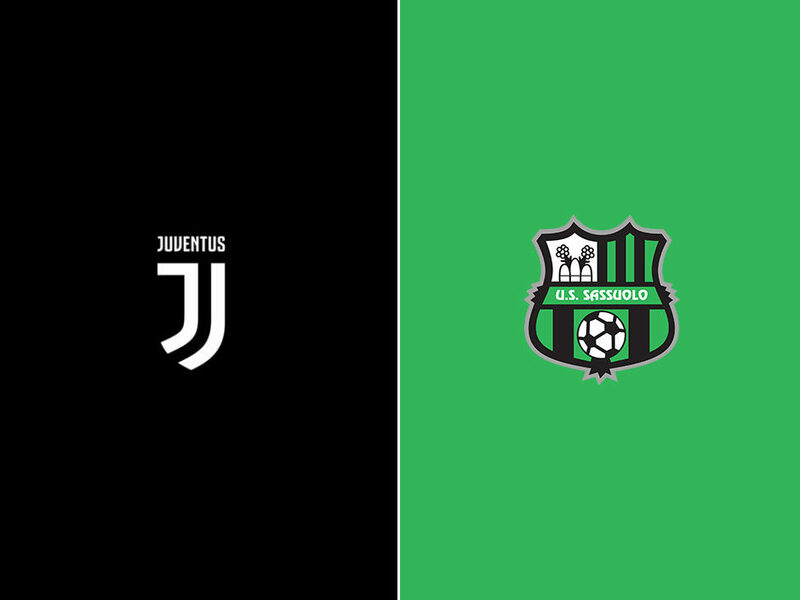 In the other two bouts, they handled Inter and downed them with Domenico Berardi converting a penalty and prevailed in the shootout against Genoa, where in reality they went up by four goals after conceding the opener and the Rossoblù pulled back late, embellishing the result. They have used three different line-ups so far, so the coach is still working on few solutions before settling on the more effective ones. They started off with a regular 4-3-3, then moved to a three-man defence. The fact that the crown jewel of their reinforcement campaign, Kevin Prince Boateng, can play well in a few various positions gives them a lot of flexibility. He was initially tabbed as false nine and showed intriguing things and chemistry with his flankers, then Khouma Babacar dominated the Genoa match and the ex-Milan man performed well as attacking midfielder/left winger, so it looks like De Zerbi will be able to juggle between a few options, based on the match-up without giving up much quality-wise. Domenico Berardi looked rejuvenated and the eventual and relative success of their season inevitably goes through their most representative player, who is coming off a very lacklustre year. He has already netted two goals and looked spry. Freed of defensive duties and tasked with heavy playmaking responsibilities, he has looked a bright spark. After Boateng, as usual, they signed a slew of youngsters whom they hope they will be able to groom and perhaps re-sell with great profits in a couple of years like Marlon from Barcelona, Manuel Locatelli from Milan, Federico Di Francesco from Bologna and Enrico Brignola from Benevento. All good-to-excellent prospects who might make the leap in the right environment and in the right circumstances. They can give them a lot right away. The most productive so far has been the most unheralded: the fast riser Giangiacomo Magnani, who was in Serie C at the beginning of last season and was acquired by Juventus in the summer and basically loaned to the Neroverdi. He was thrust into action because of a pair of injuries and held up beautifully. The latest reports indicate that De Zerbi will use a 4-3-3 this time, with Boateng spearheading the trident and Berardi and Di Francesco flanking him. Mauricio Lemos continues to struggle in Serie A, so he should be the centre-back who gets dropped. Francesco Magnanelli has recovered from a minor muscular injury and he is in contention to start in the midfield supplanting Manuel Locatelli. Mehdi Bourabia is the favourite to complete the midfield, but Stefano Sensi has a shot as well. 4-3-3: Consigli; Lirola, Magnani, Ferrari, Rogerio; Bourabia, Magnanelli, Duncan; Berardi, Boateng, Di Francesco.